In order to drive safely, it’s critical that you be able to see clearly through your windshield, even in inclement weather. That’s why cars come with a handy, often underappreciated pieces of equipment known as windshield wipers. These simple tools are actually amazingly effective at keeping your line of sight clear, and allow us to drive even during pouring rain or heavy snowfall – but only if they are working correctly, and the best way to ensure they work correctly is through proper careful maintenance through the winter months. Whether you’re trying to keep your Albany used cars safe to drive through rough winter conditions or simply want to prepare for the worst-case scenario, here are a few simple tips and guidelines you can follow to make sure your windshield wipers are up to snuff long before it comes time for them to really come into play. Through simple maintenance and attentive care, your wipers blades will always be ready to handle the elements. Obviously, the only way to really know that your blades are in good or bad condition is to physically take a look at them – and to do it often, to stay on top of their condition as it changes over time. Checking your blades can be as simple as taking a look at the rubber squeegee blades and seeing if there are any gaps or worn bits, which will probably be evident through smearing or streaking when you run the wipers. Looking at your blades every couple of weeks or so is a good way of monitoring their changing state and being able to step in when they become too worn out, while taking a peek only when you notice a problem is a great way to find yourself stranded in a storm with blades that simply don’t work too well. Sometimes, especially depending on the conditions and where you’ve brought your vehicle recently, your wipers may leave streaks or smears because they are simply dirty, and not necessarily because they ned to be replaced. If you notice your wiper blades not working as well only a few weeks or months after installation, they are likely covered with debris that is preventing the blades from making contact with the windshield. Simply wiping down the blades with a clean, lint-free cloth from time to time can make a big difference, and can help prevent the blades themselves from sustaining damage from contact with the dirt or debris. This is a simple fix that could save you from buying new blades when they aren’t quite necessary. Generally, as a rule of thumb, you should change your wiper blades as soon as they develop a problem. Once you notice that there are streaks or missed patches and your blades don’t have any dirt or debris on them, then it’s probably time to find new wiper blades that will actually work. Likewise, it’s generally a good idea to change your wiper blades every six months to every year, depending on how fast you notice they wear out and how frequently you use them. By changing them regularly you are able to head off most problems that come with simply leaving blades on until they can no longer function. Especially in the wintertime when salt and sand are more likely to be covering the road, your wiper blades can take on a lot of highly-corrosive debris. Salt and sand can both scratch and dry out your wiper blades, leading to cracking and gaps that will definitely affect how well your blades work. Simply wiping your wiper blades with a warm, wet cloth every week or so should keep most of this winter debris off your blades and keep you wipers in good working order. 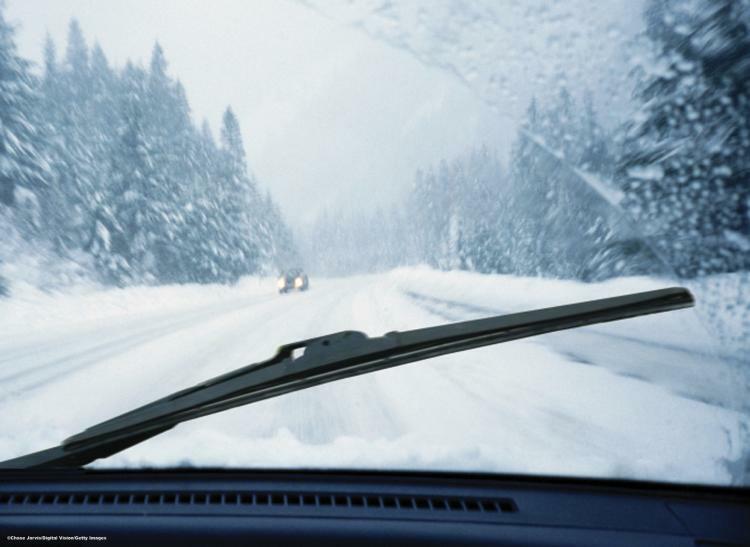 Many drivers find it easier to lift their wiper blades away from the windshield when anticipating snow or freezing rain. Not only does this make clearing your windshield easier later on but also prevents your wiper blades freezing and sticking to the glass, which can damage the rubber squeegee when pulled away. 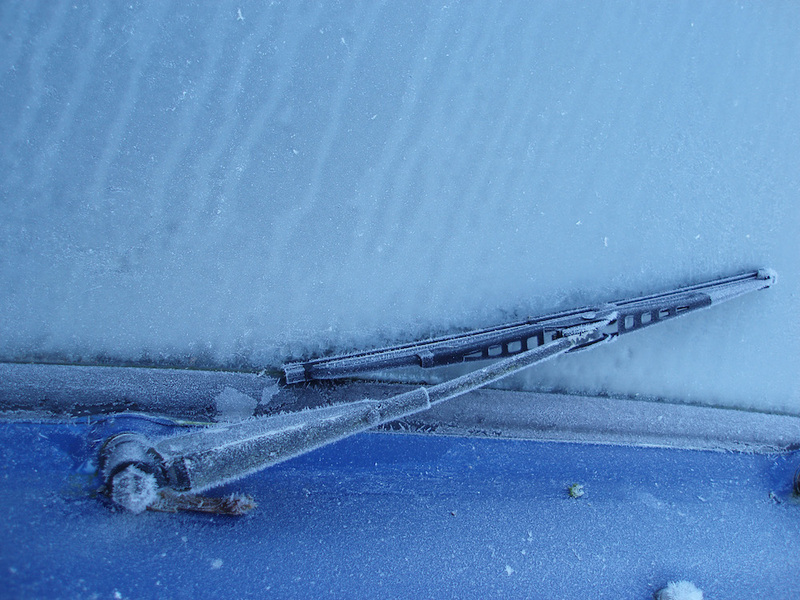 Lifting the blades away prevents freezing and sticking, which can help preserve your wipers for longer. Since the important rubber pieces of your wiper blades will stiffen and become more brittle in the cold weather, it’s important to be more careful during this time of the year about inflicting potential damage to the blades. This means making liberal use of your defrosters and scrapers rather than using the blades themselves to clear ice and snow off of your windshield. These hard, frozen particles can easily wear away at the brittle rubber, which is designed to slide over wet, smooth surfaces only. This also means you need to be more careful in the winter about running your wipers over a dry windshield, which can contribute to wear and tear quite rapidly. 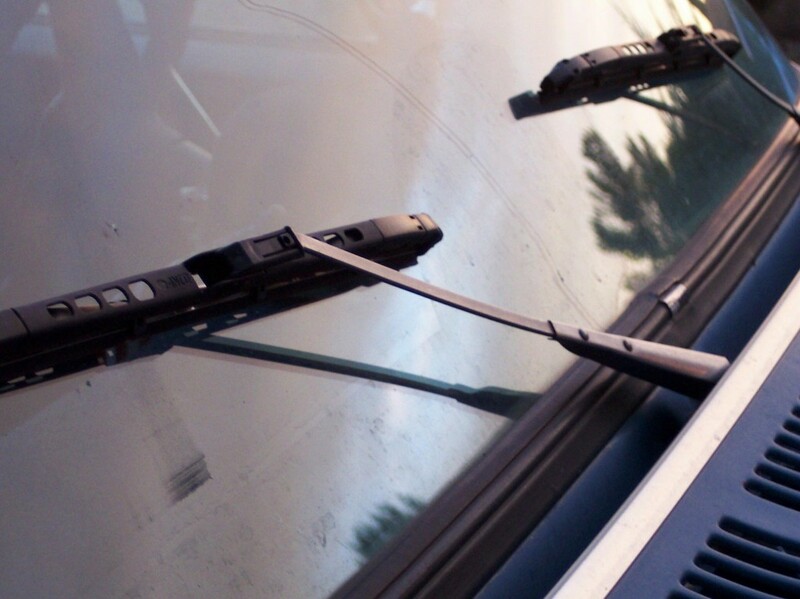 Wiper blades are designed to move over wet surfaces with little resistance, so pushing them over a dry surface is a good way to rub away the blades over time. This will likely be accompanied by a squeaking sound – a good audible alarm that something is wrong. Don’t be afraid to use your windshield washer fluid to lubricate everything and keep your blades running smooth. Fortunately, changing your wiper blades is an inexpensive and quick repair that you can easily do at home. Once you’ve measured the size of your wipers and purchased new blades to match, all you have to do is lift the blade arms away from the windshield, unhook the old blades from the rubber stopper at the end of the arm, and insert the new blade in its place. Give a good tug to make sure everything is securely in place and the gently snap the metal arm back to the windshield. Spray a little wiper fluid for a good base coat of lubrication and run the blades a couple of times, looking for any loose parts or streaks left on the windshield. Make adjustments as necessary and then call it a day – you’ve just successfully changed your wiper blades. With these simple tips, you too can make sure you can maintain good visibility for safe driving even in inclement weather, like heavy rain and snow. For those living in northern parts of the country, this is absolutely crucial – so get out there and give your blades some attention this winter.